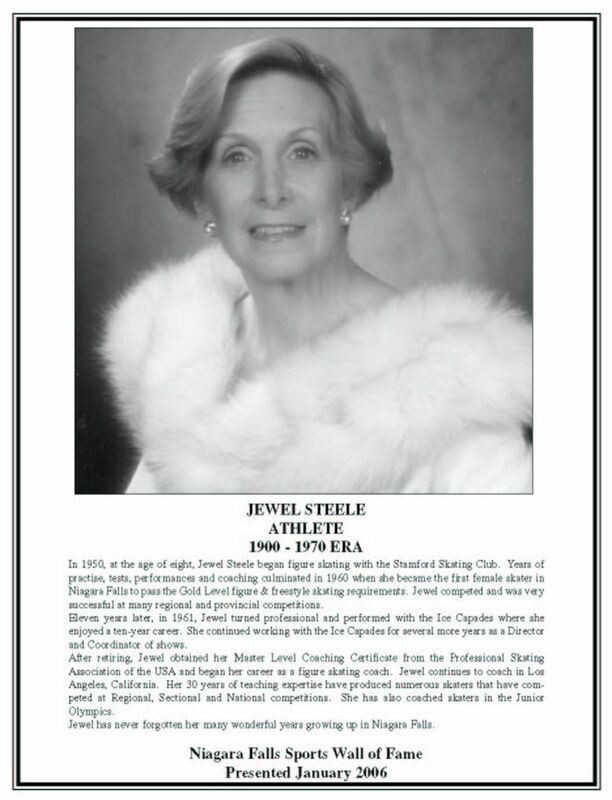 In 1950, at the age of eight, Jewel Steele began figure skating with the Stamford Skating Club. Years of practise, tests, performances and coaching culminated in 1960 when she became the first female skater in Niagara Falls to pass the Gold Level figure & freestyle skating requirements. Jewel competed and was very successful at many regional and provincial competitions. Eleven years later, in 1961, Jewel turned professional and performed with the Ice Capades where she enjoyed a ten-year career. She continued working with the Ice Capades for several more years as a Director and Coordinator of shows. After retiring, Jewel obtained her Master Level Coaching Certificate from the Professional Skating Association of the USA and began her career as a figure skating coach. Jewel continues to coach in Los Angeles, California. Her 30 years of teaching expertise have produced numerous skaters that have competed at Regional, Sectional and National competitions. She has also coached skaters in the Junior Olympics. Jewel has never forgotten her many wonderful years growing up in Niagara Falls.